We are The Greenville Area Chapter of Blue Star Mothers of America. We are parents who have children serving our country in the United States Military. This non-profit (501[c]3), non-sectarian, non-political organization serves to support one another and to send support to our troops. We symbolize our support through flags displayed in the windows of our homes during wartime and we actively support our troops through a variety of living, creative ideas. If you have a loved one in any branch of the military and need a shoulder to lean on in these uncertain times, we are here for you. 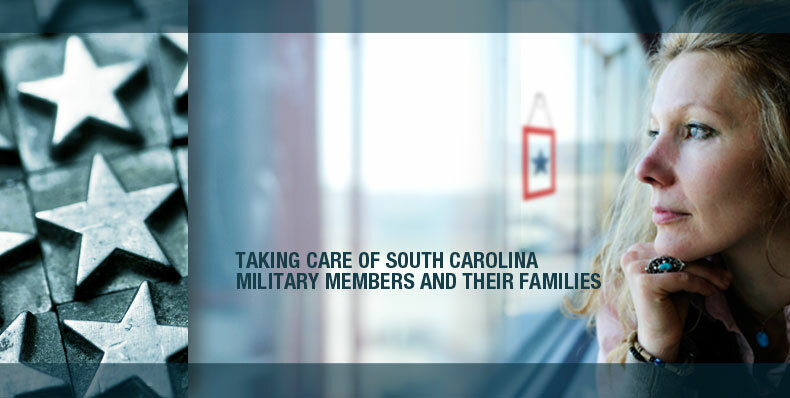 Our members are at all different stages of their loved one’s military careers and can help with your questions and concerns. The Blue Star Mothers of America, Inc. is authorized by Title 36, Chapter 305 of the United States Code (36 USC 305); Section 943, as of January 26, 1998. On January 22, 1942 the Flint News Advertiser printed a coupon asking Mothers of serviceman to return the coupon after filling it out. The following February 1st 300 mothers met in the Durant Hotel, in Flint Michigan. Captain George H. Maines, who had conceived the idea for this group, acted as the chair of this first meeting. It was decided that after receiving 1000 responses from the ad to form a permanent organization. Mothers volunteered throughout the tough times of World War II. They worked in hospitals, train stations, packed care packages for soldiers and were an working part of homeland security during times our time of war. The organization waned in size over the years but has held together by mothers showing pride in both their children and country. In recent times we have begun to grow in strength. Being attacked on our own soil has once again started mothers hanging flags in their windows at home proclaiming pride in the fact that we have children protecting our freedom during a time of war. Our organization not only provides support for active duty service personnel, promotes patriotism, assists Veterans organizations, and are available to assist in homeland volunteer efforts to help our country remain strong.